Common theme around the paddock at the start of each season is that the off-season seems to shrink year after year. In actuality, there was more time than normal due to IMSA pushing back the start of the Roar Before the 24 a few years ago, but that does not stop it from sneaking up on you. One has just recovered from the holidays with family and a few days later you depart for historic Daytona International Speedway. In 2016 there is excitement and buzz, more so than in 2015. IMSA has changed the rule package which brings in GT3 spec cars into the GTD rank opening the door for a lot of new machinery. 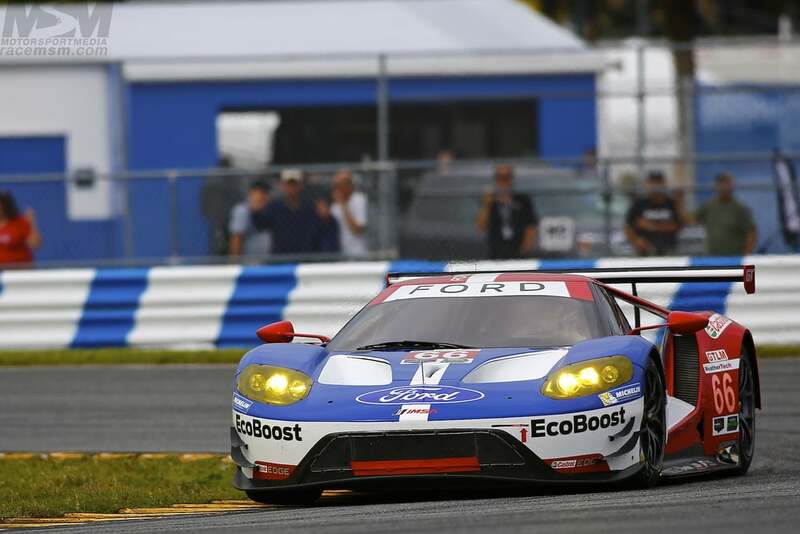 The huge addition of the Ford GT to the GTLM field and new cars from most other entrants further increases interest in 2016. I am definitely excited! With the launch of 'new stuff' for the season this means that many are looking for photography to launch their seasons. Drivers need updated headshots and special photoshoots are setup to create these PR packages. For the photographer, this means the work is a little more entertaining. But of course, it’s not without a little extra stress. Choose early or late session and hope for sunrise/sunset? Middle of the day to hopefully guarantee light but might not be as pretty? Results are worth it and I wanted to provide some behind the scenes footage of how we capture it. Turner Motorsport debuts their new BMW M6 GT3. So how exactly does one get to the photo below? A minivan, harness and safety equipment, cars to photograph and a driver for the minivan. Setup in the back and turn laps. Always surprising at how different angles and car placement change the look of the photos completely. 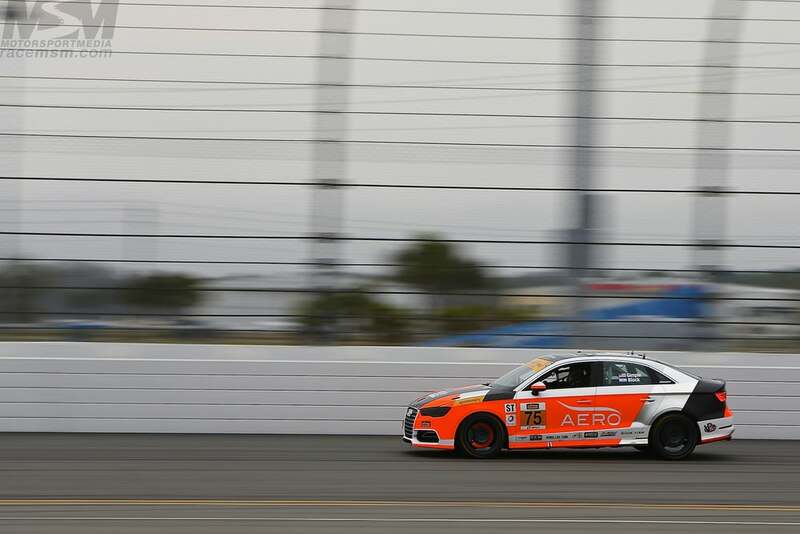 BimmerWorld Racing returns with a pair of BMW F30 328i. 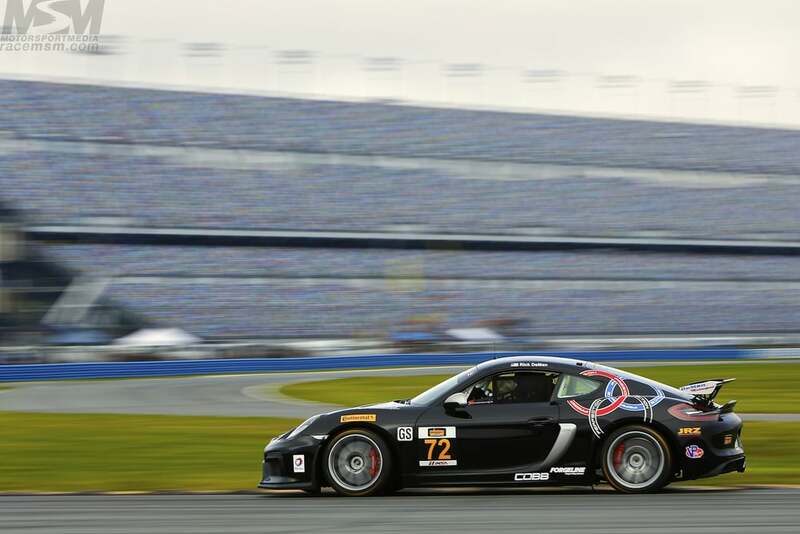 CJ Wilson pilots his new Porsche Cayman GT4 Clupsport. CJ Wilson Racing. How does it happen? Enjoy a view from the front of the van. Once all the fun car to car is over many setup mobile studios to handle head shots. Of course this is a bit more cut and dry but sometimes some fun is had. Big cheesy smiles. While all of these extras are going on the teams are doing what they came to do. Test their cars on track. New cars turn their first laps in anger. Get new drivers track time in their new cars. Sometimes when the cars start up for the first session it is the first time the car has been started to run on track. 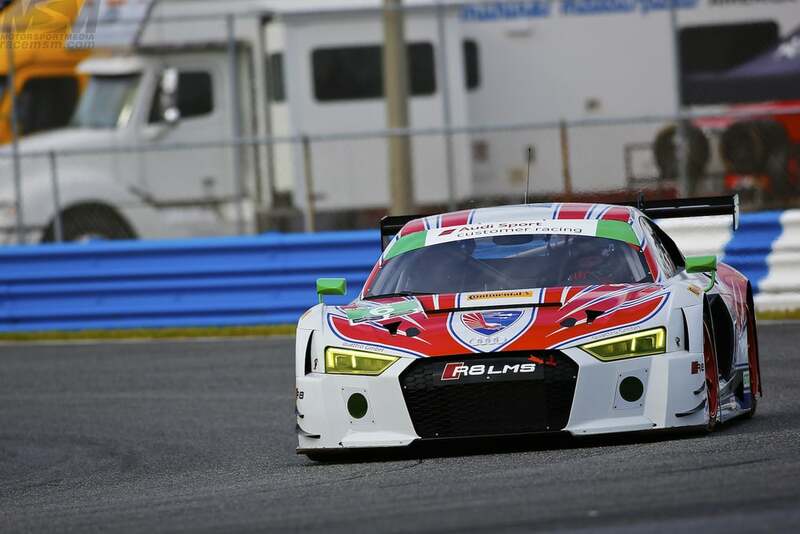 Below you will find a sample gallery of some of our favorite photos from the Roar Before the 24. We hope you enjoy!